These sci fi movies starring soldiers provide thrills and chills, in space and on the ground. Except for one that’s so bad you’ll be tempted to test that theory about screaming in space. When someone says “science fiction” or “sci fi” most people probably picture outer space, or aliens, or some futuristic city. Almost every sci fi movie, no matter where it happens, usually stars a soldier. Sometimes that soldier is the cream of the crop, but most of the time he (or she) has gone rogue. Why a soldier? Well, because who else would have the training to take on a bloodthirsty alien? Or bring an evil ruler to their knees? I guarantee that if I was shot to Mars to wrestle with a creature looking to take over Earth, we would all be doomed. I’d be out as soon as it shoot goo from some creepy part of its body. A soldier has training in combat, strategy and weaponry. Those are all things you’re gonna need to win the day in a sci fi movie. Most of the time, that soldier has a scientist as a sidekick, and a loved one back home, which gives them their reason to survive. 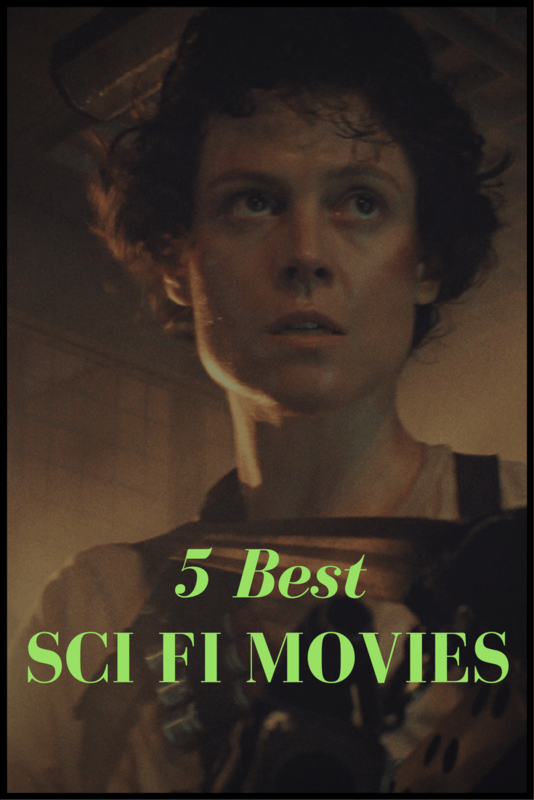 Here are 5 fantastic sci fi movies starring soldiers to get your scare on. Disclosure: Media Medusa receives a small commission if you purchase through the affiliate links on this post, at no extra cost to you. Alien (1979), directed by Ridley Scott, is the mother of all sci fi movies. Not “mother” in the sense that it birthed other sci fi movies, although it did. “Mother” in the “motherf—-r” sense, because it’s scary as all get out and will f’ you up. Plot: On the way home from a mission for a company, the Nostromo’s crew is woken up from hibernation by the ship’s Mother computer to answer a distress signal from a nearby planet. Capt. Dallas’s rescue team discovers a bizarre pod field, but things get even stranger when a face-hugging creature bursts out of a pod and attaches itself to Kane. Notable cast: Sigourney Weaver as Ripley; Tom Skerritt as Capt. Dallas; John Hurt as Kane;. Who’s the soldier? Ripley. She’s a warrant officer, which means that she was designated an officer by warrant, not by commission. Are there more? Yes. Aliens (1986); Alien3 (1992); Alien Resurrection (1997); Alien vs. Predator (2004); Alien vs. Predator Requiem (2007); Prometheus (2012); Alien: Covenant (2017). Plot: A Cyborg has been sent from the future on a deadly mission. It has been programmed to kill a young woman named Sarah Connor. Sarah has no idea that her life will have a staggering effect on the fate of mankind and that she is in danger of being killed at the hands of an inescapable machine known as the Terminator. Kyle Reese has also been sent from the future, but his mission is to protect the unknowing mother of a future leader. Notable cast: Arnold Schwarzenegger as the Terminator; Linda Hamilton as Sarah Connor; Michael Biehn as Kyle Reese. Who’s the soldier? Kyle Reese is a sergeant with the human resistance army. Are there more? Yes. Terminator 2: Judgement Day (1991); Terminator 3: Rise of the Machines (2003); Terminator: The Sarah Connor Chronicles (TV Show, 2008); Terminator Salvation (2009); Terminator Genisys (2015). Arrival (2016) didn’t resonate with audiences the way other sci fi films have. It should have. Directed by Denis Villeneuve, Arrival was nominated for several Oscar awards, including Best Picture. It’s total domestic gross was only $100 million. That sounds like a lot, until you compare it to 2016’s top movie, which grossed $532 million, and the fifth biggest movie, which still grossed $364 million. Perhaps the lack of a blockbuster star, and a plot that was difficult to market, kept audiences away. Regardless, you should watch it because it’s so much better than you think it’s going to be. Plot: When mysterious spacecraft touch down across the globe, an elite team is brought together to investigate. As mankind teeters on the verge of global war, they must race against time for answers. To find them, a team member will take a chance that could threaten her life, and quite possibly humanity. Notable cast: Amy Adams as Dr. Louise Banks; Jeremy Renner as Ian Donnelly; Forest Whitaker as Colonel Weber. Who’s the soldier? Col. Weber. He runs a military outpost that tasks Dr. Banks and Donnelly with figuring out what’s going on. District 9 was a game-changer. Director Neill Blomkamp had a tiny budget to work with. He was inspired to use a “found footage” style for District 9 that was not only cheap, but gave the movie a very realistic feel. District 9 was wholly original, and explored racism in an unexpected way. The movie was hailed for its script, directing and acting. District 9 was nominated for a Best Picture Oscar. It helped that Peter Jackson was an executive producer, and shepherded the film. Plot: The aliens were the last of their kind, and in order to accommodate them, the government of South Africa set up a makeshift home in District 9. As the humans begin to grow wary of the unwelcome intruders, a private military company called Multi-National United (MNU) is assigned the task of controlling the aliens. But MNU is less interested in the aliens’ welfare than attempting to understand how their weaponry works. Notable cast: None. They were all newcomers. Sharlto Copley, the star, went on to play Stefan in Maleficent. Who was the soldier? The Multi-National United soldiers. Like all good sci fi movies starring soldiers, Edge of Tomorrow requires a thinking cap. There’s a lot going on, but once you catch the hook of the movie, it’s a fantastic ride. Surprisingly, Edge of Tomorrow only grossed about $100 million domestically. I say that’s surprising, because 1) it’s a Tom Cruise movie and 2) it’s freakin’ good. Plot: In a near future, an alien race has hit the Earth in an unrelenting assault. They are unbeatable. Major William Cage is an officer who has never seen a day of combat when he is unceremoniously dropped into what amounts to a suicide mission. Killed within minutes, Cage now finds himself inexplicably thrown into a time loop, which forces him to live out the same brutal combat over and over, fighting and dying again and again. But with each battle, Cage is able to engage with increasing skill, alongside Special Forces warrior Rita Vrataski. And, as Cage and Rita take the fight to the aliens, each repeated encounter gets them one step closer to defeating the enemy. Notable cast: Tom Cruise as Maj. William Cage; Emily Blunt as Rita Vrataski; Bill Paxton as Maj. Sgt. Ferell. Who’s the soldier? They all are. Are there more? A prequel, titled Live Die Repeat and Repeat is being developed by the same director, Doug Liman. Now, about that stinker. Maybe you thought I was going to choose Battlefield Earth. Maybe you were even thinking the worst military sci fi movie ever was Independence Day: Resurgence. Both of those are worthy guesses and no one would question your deductions. However, there’s a little-known sci fi movie starring a soldier that is so unbelievably bad I know you’ve never heard of it. Steel was released when former NBA player Shaqille O’Neal was a rising star. In 1993, he won the Rookie of the Year Award. Although he wouldn’t win the MVP award until 2000, Hollywood was ready to put O’Neal up on the big screen. Steel was about John Henry Irons, a weapons designer and metallurgical genius (yes, O’Neal) who was developing a new sonic weapon for the military with the help of Sparks, a computer whiz. When an accident caused by unscrupulous superior Nathaniel Burke (Judd Nelson) leaves Sparks paralyzed, Irons quits his job in disgust. It turns out later that Burke has begun mass-producing the weapon and selling it to terrorists and L.A. street gangs, so Irons and Sparks team up with Uncle Joe, a junkyard artist, to create a suit of armor and a gadget-packed sledgehammer. This was DC Comics’ attempt at adapting their comic book series by the same name. They failed miserably. The movie was downright awful, although it starred some impressive actors. Notable cast: Annabeth Gish, Richard Roundtree, Judd Nelson. Who’s the soldier? Irons? Burke, for sure. And all the soldiers who get caught up in the drama. Are there more? Hell to the no. Thanks for reading! Which sci fi movie is your favorite? Tell me in the comments!